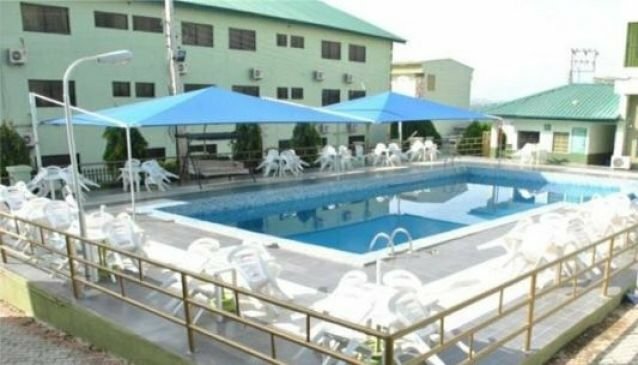 With the mindset of filling the gap in the hospitality industry in Osun State,Leisure Spring Hotels Ltd (LSH) was established. The Hotel was officially commisioned for use on the 12th December, 2006 by the former Osun State Governor, Prince Olagunsoye Oyinlola and His Imperial Majesty, the Ooni of Ife, Oba Okunade Sijuwade Olubuse II. The hotel has features such as: Intercom and external Telephone facilities, Internet Service, DSTV / Coloured Television with over 36 functional stations, Daily,supply of free National Newspaper of your choice, inner Bar & Restaurant with exotic meals& Chilled drinks,1500 guest capacity, fully Air, Condition Multipurpose Hall for all social functions, A well equipped GYM with modern body build effects, 24 hrs Room service operation, Highly sensitive security equipments and Ultramodern Children attached swimming pool.